Civilian aircraft shipments led the 1.1% rise in overall exports. Commercial aircraft exports is likely to turn around as Boeing keeps deliveries of the 737 MAX planes indefinitely suspended following two deadly crashes. The trade deficit the US holds with other countries unexpectedly narrowed in February, hitting its lowest level in eight months as shipments of civilian aircraft surged. The gap between American products shipped abroad and goods the US imported fell to $49.4 billion, the Commerce Department said Wednesday. Economists surveyed by the Wall Street Journal had expected it to increase to $53.8 billion. Civilian aircraft shipments led the 1.1% rise in overall exports, which grew at the fastest pace in about six months. But the $2.2 billion increase in commercial aircraft exports is likely to turn around as Boeing keeps deliveries of the 737 MAX planes indefinitely suspended following two deadly crashes. 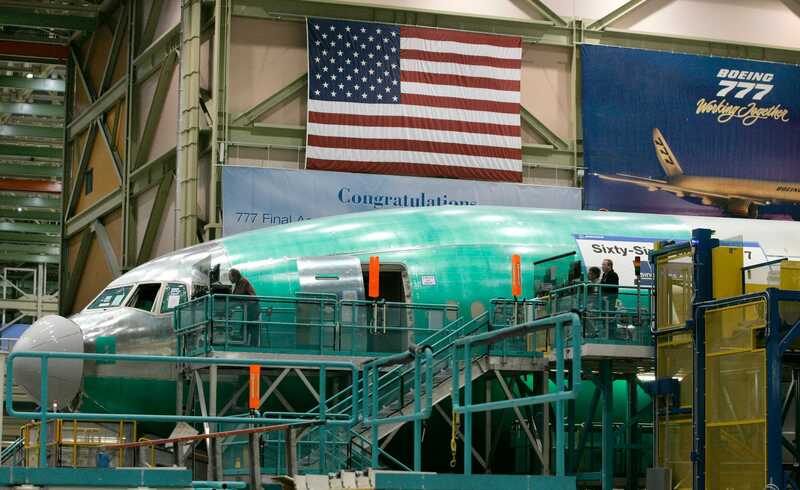 Wednesday’s trade deficit release covers the month prior to Boeing’s 737 Max fleet being grounded due to the Ethiopian Airlines Flight ET302 crash. Boeing has also suspended customer deliveries of the plane. Sales of civilian aircraft can produce a monthly bump because of their scale, said Mary Lovely, a trade scholar at the Peterson Institute for International Economics. "Month-to-month variation in the trade deficit tells us little about the overall direction of the US balance," she said. "However, we know [civilian aircraft] purchases are ‘lumpy’ in the sense that they are not made every month." The politically-sensitive goods deficit with China narrowed by more than 28% to a seasonally adjusted $30.1 billion as soybean exports rose. American agricultural exports had fallen sharply last year after Washington and Beijing levied a spate of tariffs on each other’s products. The narrowing at the beginning of 2019 may have also been due to companies rushing orders ahead of a March 1 deadline set in trade talks, after which tariff rates on $200 billion worth of Chinese products were scheduled to more than double. Trump backed down on those threats before they took effect, however. But the trade deficit is set to increase again in the coming months, as US government and private sector spending outpaces income. While Trump sees the deficit as a scorecard of sorts in his economic battles, trade is influenced by a range of factors such as foreign-exchange rates, the strength of an economy, and the amount a country borrows from abroad.